Earthquake with magnitude of 6.8 hits Alaska: Tsunami warning cancelled! Alaska Earthquake: The U.S. Geological Survey (USGS) reports says the earthquake of magnitude 6.8 hits Alaska, southeast of Atka, in the north-Pacific island chain at about 6:55 a.m. ET. The tsunami warning is in effect for coastal areas of Alaska from Unimak Pass to Amchitka Pass. The Pacific Tsunami Warning Center said it did not see a threat of a Pacific-wide destructive tsunami from the quake. 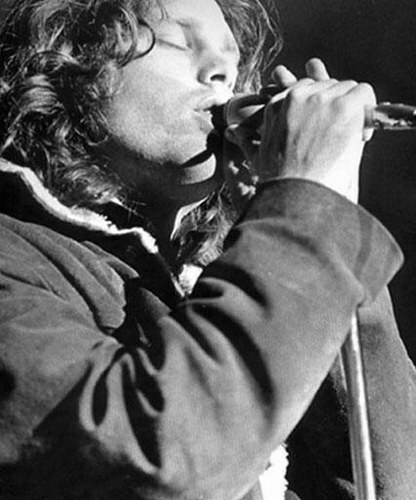 Remembering Jim Morrison on his 40th Anniversary. Jim Morrison, the Doors front man would have been celebrating his 67th Birthday if he is alive and hopefully still rocking. His death is probabaly reported due to heart attack but it was later revealed that he was doing heroine at the time of his death. School board shooting: Panama City Florida. A gunman named Clay Duke open fired at the school representatives at the Bay District Schools board meeting. Tuesday afternoon a person calmly walked to a podium, spray painted a red “V” with a circle around it on a wall suggesting V for Vendetta and open fired at school board members. A security guard soon ran in, exchanged shots with and wounded the man who then killed himself, police said.